Android smartphones currently produce more than three hundred different manufacturers, including Xiaomi, Samsung, Huawei, Oppo, Motorola, Lenovo, HTC, Sony, LG, Meizu, Vivo, as well as many others, many of which are implementing their own products only in China. Google understands that its mobile operating system is literally holding everyone in one place, preventing further development. That is why soon the Android will soon die. This means that the death of the legend will come, since at present more than 2 billion different electronic gadgets are based on Android, and this is only by the most conservative estimates. As Bloomberg writes with reference to its sources, Google has finally made a final decision about when the “green work” will come to an end. It will happen soon enough, namely – in 2023. It is this year that all smartphone manufacturers instead of Android will start using a new platform, which will be Fuchsia OS. 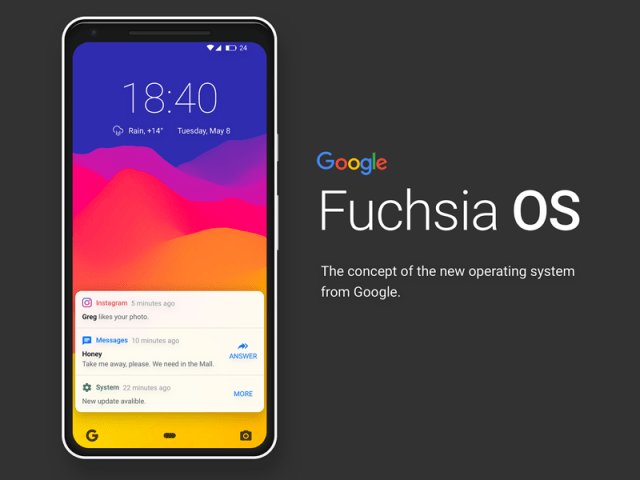 The development of this operating system is currently underway, with the creation of Fuchsia OS, Google is investing more and more money every quarter, and the staffing of its employees is steadily increasing. The first gadgets based on this OS will enter the market in 2021, but such will be stripped of the screen – they will find smart speakers and gadgets for the system of “smart” home. For smartphones, the Android replacement will take place in two years, that is, in 2023. Exactly from this year, further support for Android from Google will not be carried out, says the source.